Jourai High School’s first year General (Taishou), Subaru Ooki. 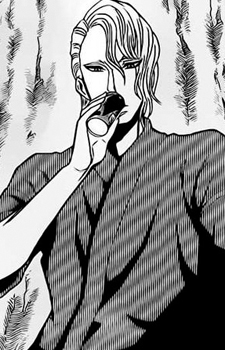 His first appearance was in the rookies’ tournament where he and the other two first years competed. He fights exactly like Hiroto, being a counter-swordsman himself. However unlike Hiroto, he never initiates an attack. This is due to an injury he received training in middle school that caused him to damage the Achilles tendon on his left foot. As such he made the decision that he would win without moving forward - through counters.